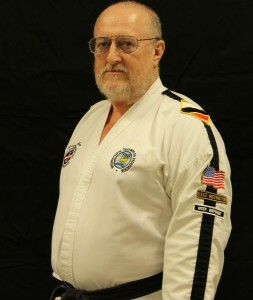 Grand Master Bill Stephenson started Taekwon-Do training in 1976. Grand Master Stephenson is a certified I.T.F. International Instructor, a Class A Umpire, and a Class A Instructor. He had served as Region VI, appointed by Grand Master Sereff. He had acted as tournament director for many "Battle of the Belts" tournaments sponsored by Region VI and others. 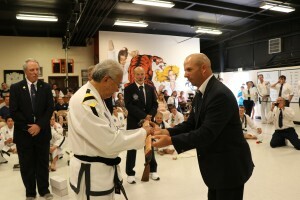 Grand Master Stephenson has trained more than 60 students to 1st degree black belt, with three promoted to 7th degree. He continues to serve as an inspiration to all his students. 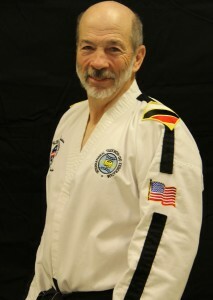 Sr. Master Dustion Stephenson started Taekwon-Do training in 1978. Sr. Master Stephenson is a certified I.T.F. International Instructor, a Class A Umpire, and a Class A Instructor. He had served as tournament director for many " Battle of the Belts" tournaments sponsored by Region VI and others. 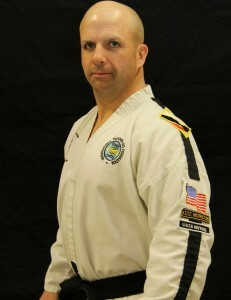 Sr. Master Stephenson has also trained many students to 1st degree black belt. He challenges his students to strive for technical perfection in their Taekwon-Do techniques.